They call it puppy love. We call it our Lucky in Love™ a-DOG-able®! 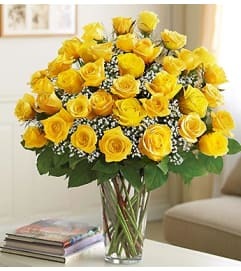 Send our pair of flower pooches to your pick of the litter. 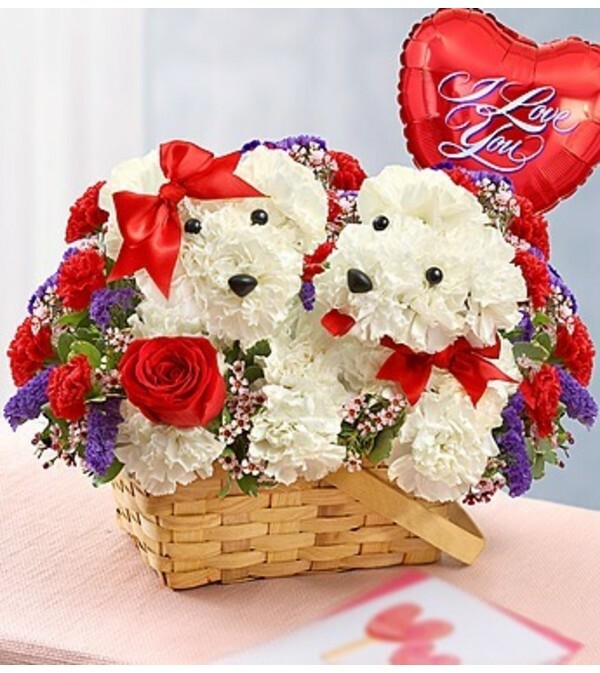 This truly original arrangement is handcrafted in a handled basket from fresh white carnations, red roses, carnations, statice and waxflower, featuring a precious female pup with a red ribbon and a dapper male dog with a red bow tie.